Feisty, feminist and downright different, Hole in the Middle is the story of what happens when a girl who is anything but ‘normal’ confronts a world obsessed with body image and celebrity. 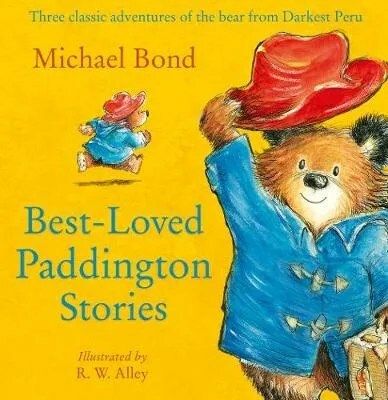 A special edition bringing three best-loved Paddington adventures to picture book format. From the author of Dreaming the Bear. The second title in this dramatic adventure sequence. Sky’s life has changed dramatically since fleeing the underground compound where she grew up. She and her friends are now hunted by dinosaurs and pursued by deadly enemies. A map left by her missing father seems to be the best chance of survival. One of the first titles published by a new list from New Frontier Publishing, this is certainly a quality production – very well illustrated and designed with varying and well-judged quantities of words on each page. A great title for budding archaeologists wth a charming kit list on the back end papers. Published to coincide with Ella Fitzgerald’s 100th birthday and based on a little known story about the singer and Marilyn Monroe. ACHUKA likes this book a lot! Oh, this is a wonderful picture book collaboration between Toronto-based writer Kyo Maclear and Montreal-based illustrator Isabelle Arsenault. Originally published in Canada some five years ago by Kids Can Press, this is surely a smart selection by Bristol-based indie publisher Book Island, who specialise in sourcing beautifully illustrated, high-quality picture books from around the world. The charming story of one sister trying to coax her sibling out of the doldrums has both child and adult appeal and should sell particularly well at Monk’s House, Charleston and galleries with a Bloomsbury connection. Beautifully produced, it’s an ACHUKA favourite for sure. This is rather cool! A continuous illustration, showing all that lies beneath the street’s surface, opens concertina fashion and can be laid out flat upon the floor (it extends for 2.5 metres), or examined two pages at a time in conventional picture book spread fashion. Two new editions to this excellent series of illustrated biographies for young readers, beautifully page-designed and printed. Each book contains a timeline at the back. Highly recommended non-fiction for the younger primary age groups (Y1-Y4) and must-have titles for school libraries. To be appreciated for the artwork as much as the information.